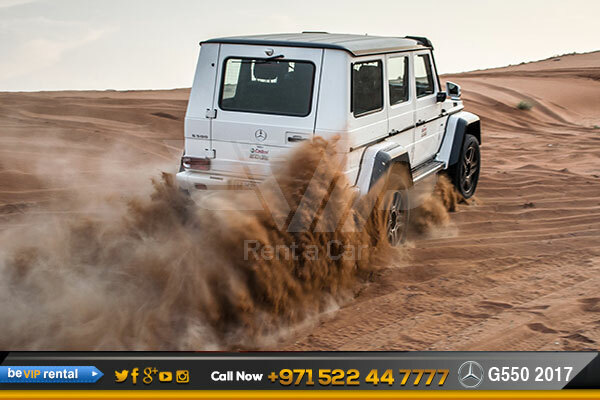 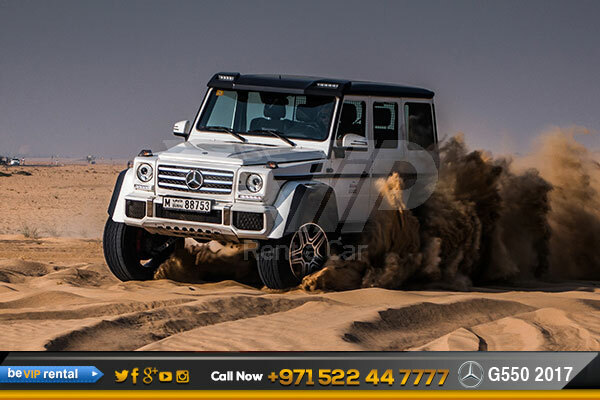 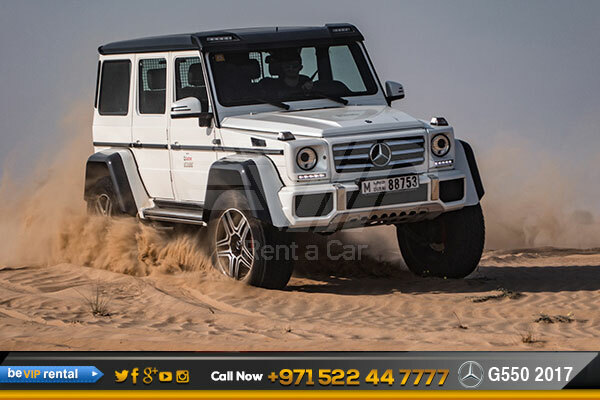 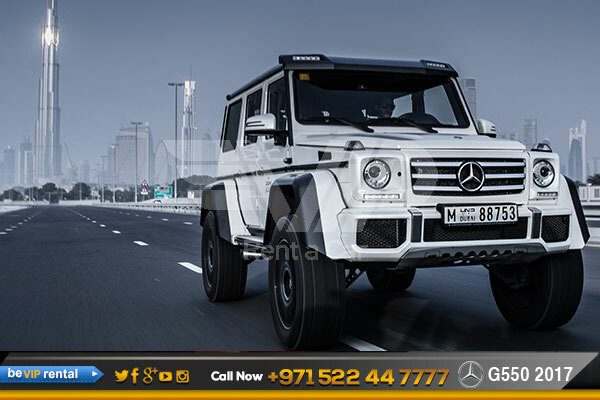 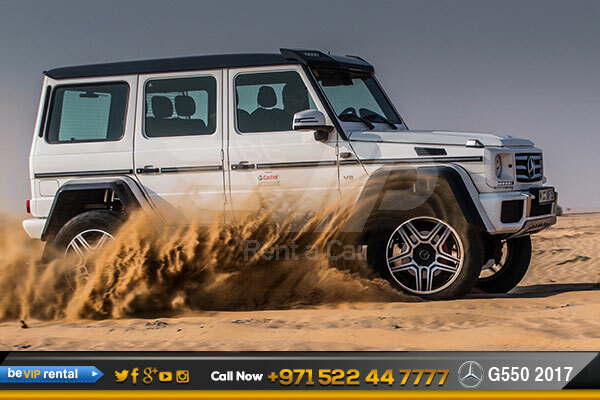 Mercedes G550 for rent in Dubai keeps this legendary off-roader series in peak technical form with systematic further development and high quality appointments. 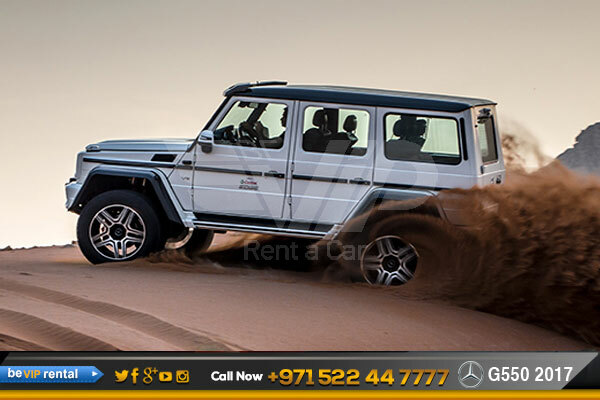 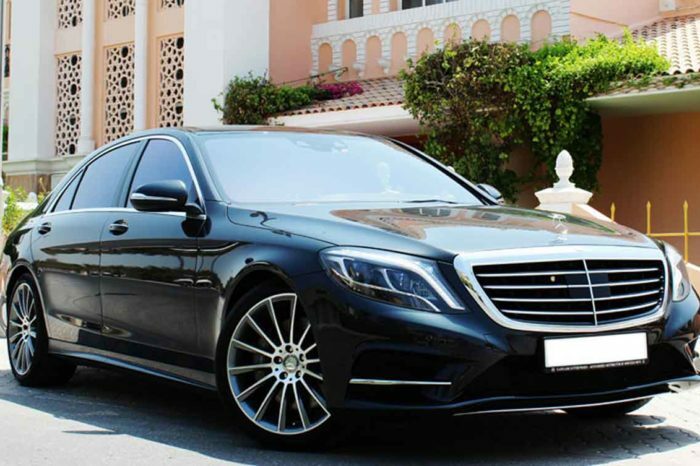 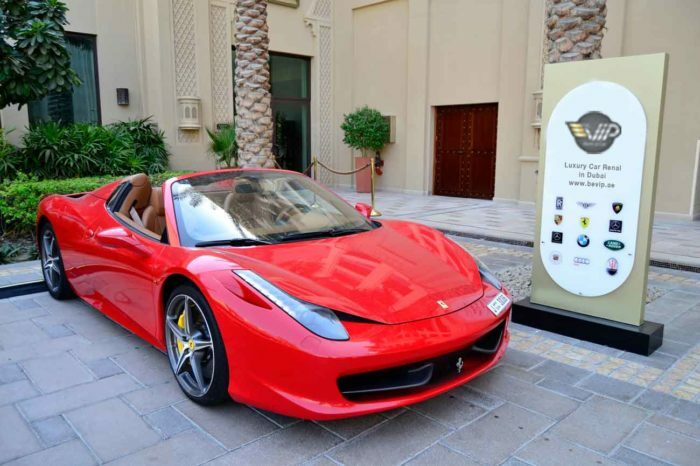 The interior appointments of Mercedes G500 car rental in Dubai make a sportily luxurious impression. 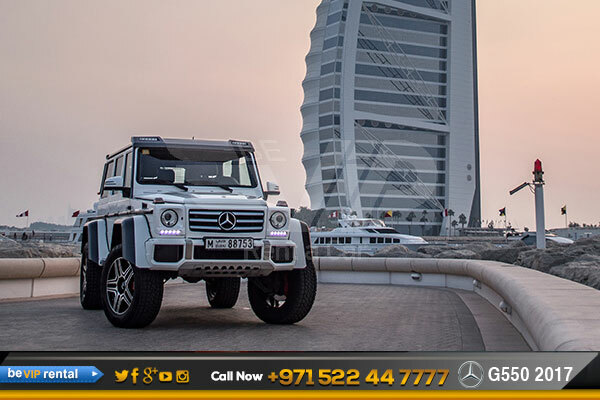 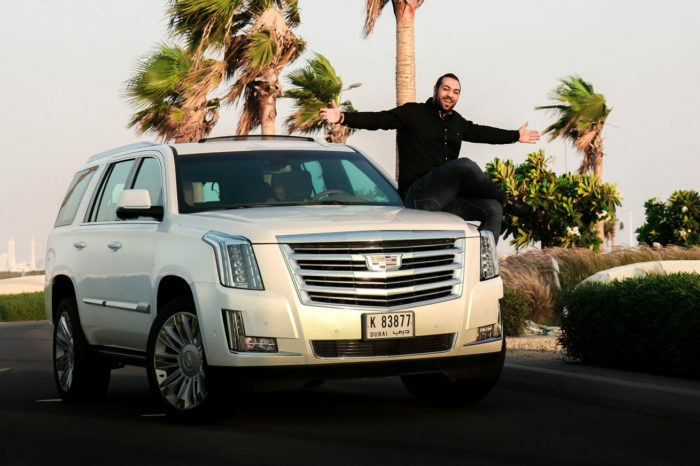 The G 550 4×4² offers an exclusive ambience with the design Exclusive package. 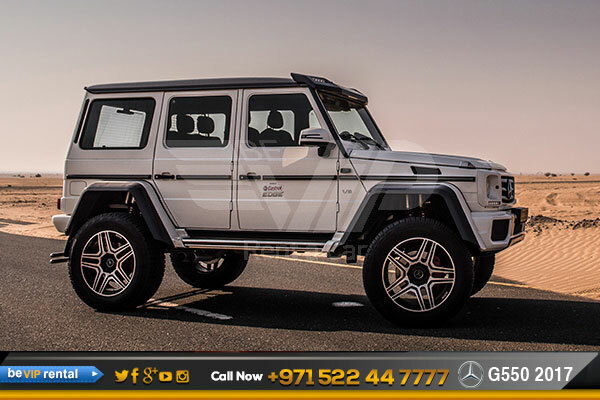 The seat surfaces and door panels are covered in DINAMICA and impress with their attractive diamond-design quilting.